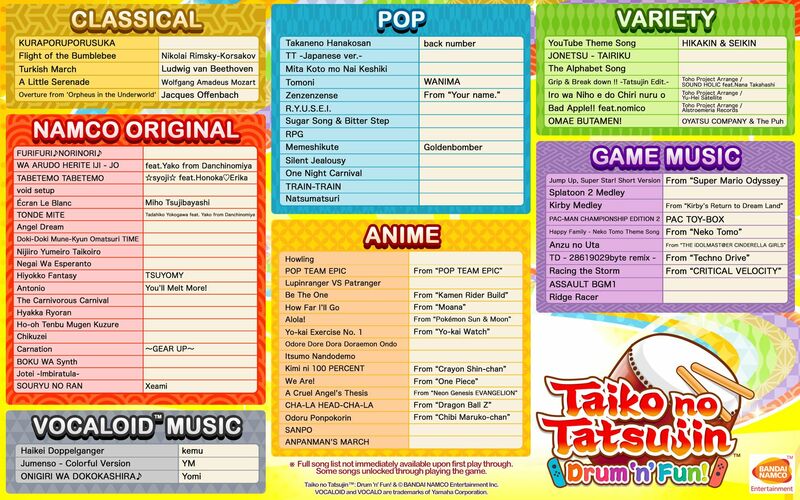 Two new games, Taiko no Tatsujin: Drum ‘n’ Fun! for Nintendo Switch and Taiko no Tatsujin: Drum Session! for PlayStation 4 have been announced and will be released on November 2nd, 2018 – with BANDAI NAMCO Entertainment Europe today revealing the full track list. Because when talking about rhythm games, what really matters are the song choices. 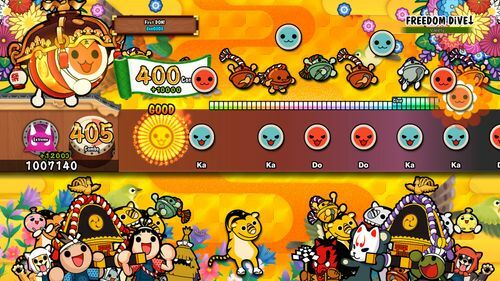 Taiko no Tatsujin will feature a lot of popular tracks – all presented in classic Japanese style to bring the truest arcade experience to homes. 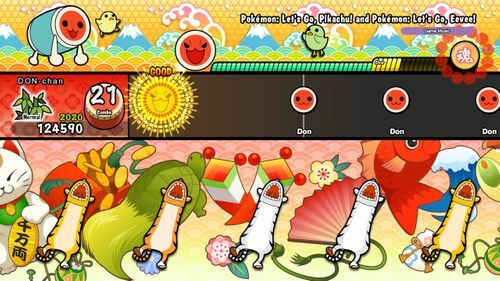 Taiko no Tatsujin: Drum ‘n’ Fun! for Nintendo Switch is including the mythical “CHA-LA HEAD-CHA-LA” from Dragon Ball Z, “How Far I’ll Go” from Moana or even classical songs such as the “Turkish March” composed by Beethoven. 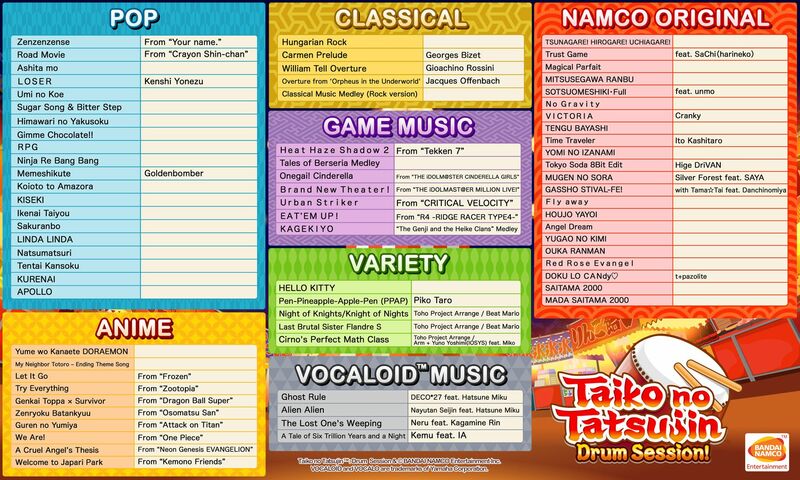 The PlayStation 4 version, Taiko no Tatsujin: Drum Session! also features some popular songs - reimagined for the Japanese arcade experience - such as “Let It Go” from Frozen or “Genkai Toppa X Survivor” coming directly from Dragon Ball Super. 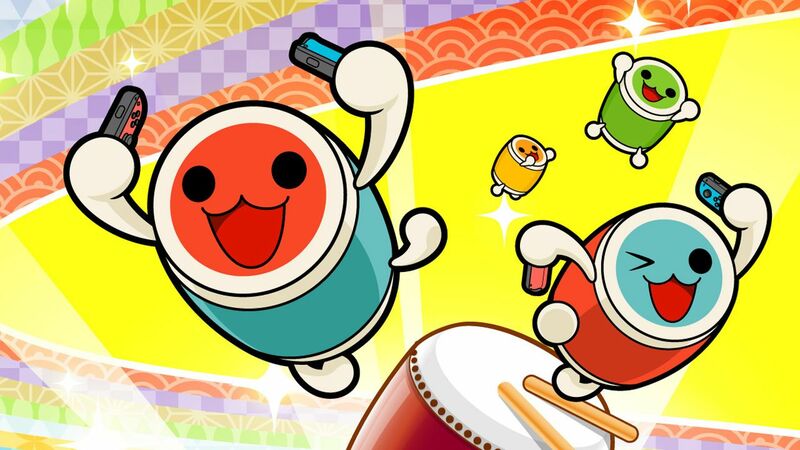 BANDAI NAMCO Entertainment Europe also confirmed that to make the experience as close as possible to the arcade game, the Nintendo Switch version, Taiko no Tatsujin: Drum ‘n’ Fun! will have its own Taiko Drum Set in Europe. 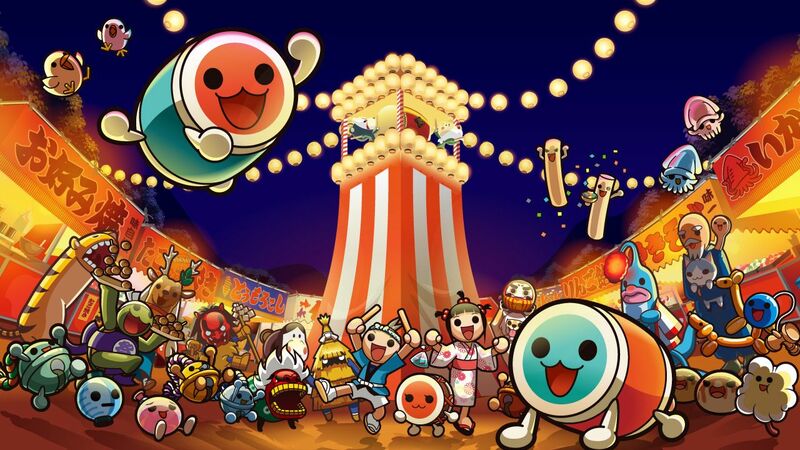 Taiko no Tatsujin: Drum ‘n’ Fun! for Nintendo Switch will be available in physical and digital version. Taiko no Tatsujin: Drum Session! for PlayStation 4 computer entertainment system will be available only in digital.